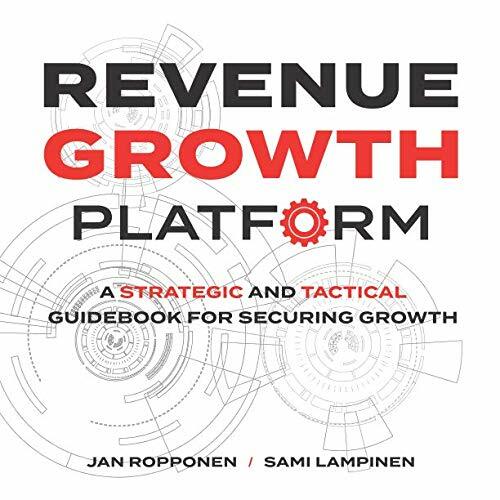 Revenue Growth platform is packed full with both strategic and tactical insights for B2B leaders. -What change is needed in WHAT types of products and services your company sells? -What needs to change in HOW your company sell, market and serve their customers? In Revenue Growth Platform you’ll find interviews of sales and marketing thought-leaders from companies like: Salesforce, Zuora, KONE, JohnsonControls, Smarp, Leadfeeder and Surf Air. Additionally you’ll hear about how companies like Rolls-Royce, Caterpillar, Xerox, Adobe, Cisco, and GE have shifted their business models. *To download any of the canvases, you’ll have to subscribe to this books mailing list. We will only send you a message in the future if there are any updates to the canvases or if new canvases are added. We may also sometime in the future send a message if we publish a new book in the same category. Now just accept the opt-in e-mail(from Axend) and voilá, the canvases will be sent to your inbox.